MSF’s analysis of the TPP text reveals that it contains new protections for pharmaceutical companies that will raise drug prices for millions of people as well as treatment providers like MSF and Ministries of Health. MSF urges all ASEAN member states to lead an effort to reject the ratification and implementation of the TPP and the expansion of its negative consequences for public health in the whole region. For more information, please visit our Spotlight on TPP. We are writing on behalf of Médecins Sans Frontières/Doctors Without Borders (MSF) on the occasion of the signing of the Trans-Pacific Partnership Agreement (TPP) to express serious concerns about the negative consequences of this agreement, if implemented, on access to affordable medicines and biomedical innovation in the Association of Southeast Asian Nations (ASEAN) region. MSF is an independent international medical humanitarian organization that delivers medical care to people affected by armed conflict, epidemics, natural disasters and exclusion from healthcare in nearly 70 countries. Our medical humanitarian work requires access to affordable, quality medicines and vaccines, and patient-focused innovation. Competition among multiple medicine producers has proven to be the best way to reduce prices and improve access to treatment. At the height of the HIV/AIDS epidemic, MSF set up treatment projects and worked in close cooperation with several ASEAN countries on overcoming intellectual property barriers to increase access to affordable HIV medicines. The efforts have extended to the need for securing access to affordable medicines for other diseases relevant to the ASEAN region, such as hepatitis. The TPP will make these efforts to increase treatment access much more difficult by restricting the options available to governments and civil society. The TPP is a regional trade agreement recently concluded by the United States and 11 other countries (Australia, Brunei Darussalam, Canada, Chile, Japan, Malaysia, Mexico, New Zealand, Peru, Singapore and Vietnam). 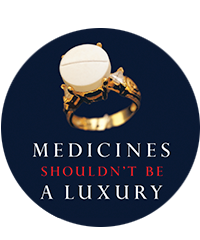 MSF’s analysis of the TPP text reveals that it contains new protections for pharmaceutical companies that will raise drug prices for millions of people as well as treatment providers like MSF and Ministries of Health. For example, the TPP contains stringent intellectual property (IP) provisions that will lengthen, strengthen and broaden pharmaceutical company monopolies and restrict access to price-lowering generic competition. Examples of these new obligations, summarized in an annex to this letter, will roll back public health safeguards and flexibilities enshrined in national and international law. The TPP will also undermine previous commitments to public health, including the World Trade Organization (WTO) Ministerial Declaration on the TRIPS Agreement and Public Health (Doha Declaration) and the World Health Organization (WHO) Global Strategy and Plan of Action on Public Health, Innovation and Intellectual Property (WHA 61.21). The TPP goes even beyond the US bipartisan New Trade Policy, or May 10th Agreement, as applied to Colombia, Peru and Panama, which was an effort to bring some balance back into US trade agreements. The TPP reinforces instead of reforms the current broken medical research and development (R&D) system that relies on high prices to pay for innovation and fails to deliver access to needed treatment and medical tools for millions of people. Stricter patent rules will only serve to accelerate the trend of focusing research and development solely on those products that have high commercial returns. Rules securing ‘ever-greening’ practices and extended patent terms for example, will delay parallel and adapted research and close up space for innovation that would help address specific needs for people living in resource-limited settings. There is an urgent need for a paradigm shift in the way pharmaceuticals are researched, developed and commercialised, and for governments to introduce norms which separate drug development from prices of end products. The TPP will make that urgent change significantly more difficult. The signing of the TPP is scheduled for 4 February 2016 in New Zealand, but the potential ratification and national implementation process is just starting and can be stopped. In parallel, efforts are now underway to encourage other countries in the ASEAN region to join the TPP, but without these countries being allowed any input on the already-negotiated agreement. MSF urges all ASEAN member states to lead an effort to reject the ratification and implementation of the TPP and the expansion of its negative consequences for public health in the whole region, especially as governments are preparing to implement the new Sustainable Development Goals and commitments to Universal Health Coverage. Millions of lives are at stake. We thank you for your attention and are available for further discussion and information. Lowering the standards for patentability – creating new patent monopolies for existing medicines. The TPP requires countries to grant secondary patents on modifications of existing medicines for at least one of the following: new uses, methods of use or new processes of a known product. This provision is designed to prevent countries from using public health safeguards in their national patent laws and judicial decisions that limit abusive patent evergreening. The effect will keep medicine prices high by delaying the availability of price-lowering generics. Creating data/market exclusivity – preventing drug regulatory authority (DRA) from approving any generic or biosimilar drug formulation during the period of exclusivity. The TPP requires countries to protect clinical test data with a period of market exclusivity for at least 5 years for small molecules and at least 3 years for modifications on existing medicines, or 5 years for combinations, which facilitates abusive data evergreening. Furthermore, the TPP contains, for the first time in a US trade agreement, a data protection obligation for a class of products called biologics, already expensive products which are used to treat and prevent cancer, diabetes and many other conditions. The protection for biologics is for at least 8 years of market exclusivity or 5 years with other measures that provide a comparable outcome. These data obligations grant a distinct monopoly protection to medicines, even when patents no longer apply or exist, giving companies a new way to keep prices high for longer and further delaying competition. Mandating patent term extensions – extending 20 year patent terms. The TPP requires countries to create two mechanisms to extend patent terms beyond 20 years for pharmaceuticals. At present, patents on drugs in most countries last for 20 years from the date of filing. The extra years added to the patent are extra years in which the patent holder can maintain a monopoly position and continue to charge artificially high prices for the drug, free from competition. Requiring new forms of intellectual property enforcement – granting customs officials new powers to detain trade of medicines, requiring mandatory injunctions for alleged IP infringements; raising damages amounts. The TPP contains a variety of obligations that increase the risk of unwarranted interruptions and delays in the flow of legitimate trade in generic medicines, and limits countries’ judicial systems’ capacity to balance commercial interests and public health interests in intellectual property disputes. These provisions strip away the ability of governments to define their own enforcement provisions as allowed by international law. These new forms of IP enforcement are reminiscent of the stalled Anti-Counterfeiting Trade Agreement (ACTA), a pluri-lateral treaty that sought to impose stringent IP rules. Provisions in the “Transparency and Procedural Fairness Chapter” that could restrict the ability of governments to use reimbursement or price control systems to reduce healthcare costs. Provisions in the “Investment Chapter” that give pharmaceutical companies the right to sue governments for regulations and decisions that reduce their expected profits in private, supra-national investor-state dispute settlement (ISDS) tribunals, the decisions of which can usually not be appealed. Provisions in the “Technical Barriers to Trade Chapter” that prohibit governments from requiring pharmaceutical companies’ “sale or related financial data concerning the marketing of the product” as well as “pricing data” as part of approval for marketing determinations.